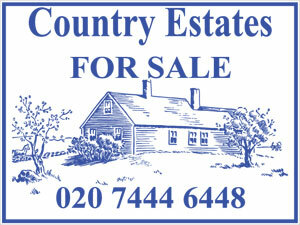 Residential Estate Agent T-Boards ...(post in the middle) estate agent boards. These estate agent boards are manufactured from two sheets of 4mm white corex that are factory heat sealed on both edges that will allow a post to be slid in between both boards. We print your design on each side either landscape or portrait. 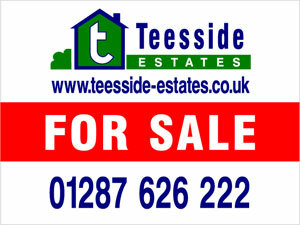 Residential Estate Agent Flag Boards ... (post at the side) estate agent boards. 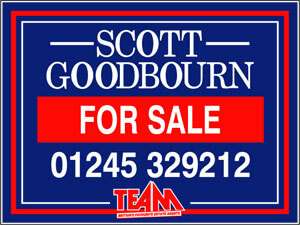 These estate agent boards are 6mm corex printed both sides either landscape or portrait. The print area on flag boards is offset by 50mm so the board can be fitted into a slotted post. Residential V-Board ... V-Boards sometimes known as Cottage Boards. 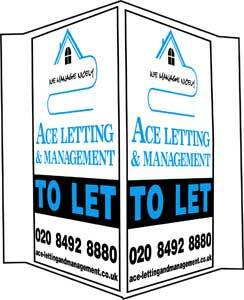 These boards are often used in the advertising of flats or masionettes, where it is difficult to get a post in the ground or space is at a premium. They are made of 4mm thick corex material. Each face measures 543mm x 825mm giving a combined maximum area of .447 sq metre. INKS / COLOURS With our colour matching system we can match to Pantone, RAL or existing supplied samples. We can produce picture images using the 4 colour process system. 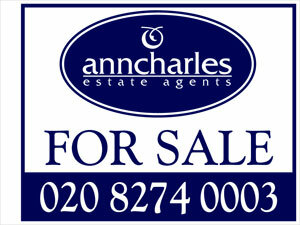 All our Estate agent boards are screen printed in packs of 25, 50, 75 & 100. 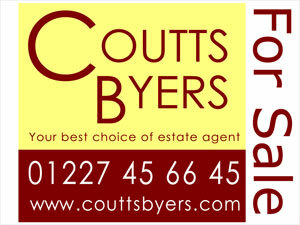 These estate agent boards are double sided print, so 25 of our estate agent t-boards are the equivelant of 50 single boards back to back. Fixings for slips to boards. 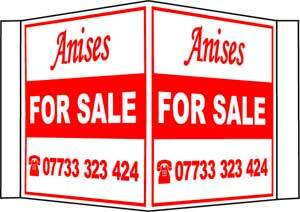 Site boards for builders, developers and contractors. 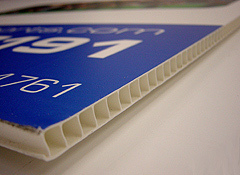 Corex (4mm euroflute) screen printed with either 1, 2, 3 or 4 colour print. These site boards are perfect for companies in the building and maintenance industry with advertisement Boards to place outside premises where they are working.